In our eighteenth episode, ex-Pikachu Craig Wiggins joins us for drinks and chat about jobs, consulting, designing vs. developing, just doing stuff, and generally being a good autodidact’s handmaiden. For our one-year anniversary episode, we podcasted about podcasting — how The ToolBar and Emergent Radio were born, which tools we use, how our philosophies have changed, and lessons we’ve learned over the first year. And… one more big thank-you to all of our guests during the first year: Kevin Thorn, Julie Dirksen, Diane Elkins, Jason Early, Aaron Silvers, David Kelly, and Steve Flowers. Special thanks to Craig Wiggins (@oxala75), as well, for interacting and pushing us forward (and forcing his people to listen). Our friend Steve Flowers was kind enough to drop by to talk about a whole lot of things: organizational change, digital solutions, Tin Can, and — most significantly — establishing a library of design patterns for instructional design. If you want to talk more with him, contact him (@xpconcept) on Twitter or head on over to one of our new favorite blogs, androidgogy, which just happens to be written by him. Brian drank St. Arnold’s Homefront IPA. 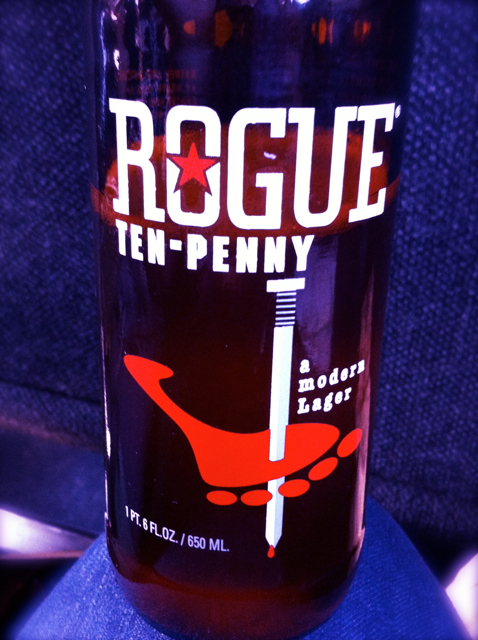 Judy drank Ten-Penny by Rogue (and Nike). Brian and Judy sit down with the coolest, smartest BLL-drinker we know: David Kelly. We talk curation, conferences, and — as always — moving our field forward. Brian drank Left Coast Board Walk Saison Ale. Judy drank Orchard White from The Bruery. David drank Bud Light Lime (but Budweiser will get no link love from The ToolBar). A brief episode about Project Tin Can, next-generation SCORM, activity streams and much more, with our special guest and friend, Aaron “The Beard” Silvers. Stick around for the second half, in which Aaron talks about positivity, Up To All Of Us, entrepreneurship, experience design, pushing the community forward, and much more. Oh, and a special announcement about DevLearn 2012. Pour yourself a drink and settle in. Aaron wants to make sure it’s abundantly clear that his thoughts are his own, not ADL’s. About Tin Can: They are taking an agile approach. They also want community feedback and involvement. It will be better if you get involved. Brian drank Raven Mad and Hop Henge. Judy drank Genius Loci’s 2006 Pinot Noir. In this episode, we rant. You’ve been warned. Next episode, we’ll be back to focusing on awesomeness… maybe even epicness. Brian drank: Angry Goat from Rahr & Sons. Judy drank: Chainbreaker White IPA. In this very special guest episode, we talk with Jason Early, founder of Gruntmonkey, about being a Designer. Plain and simple. Brian drank: Left Coast Brewing Company Una Mas Amber. Judy drank: Fremont Brewery Interurban IPA. Author Judy KatzPosted on December 28, 2011 December 30, 2011 Categories The ToolBarTags 508, accessibility, articulate, captivate, learning, lectora, storyline, zebrazapps4 Comments on #10: Accessibility. Don’t Be a Jerk.